Go to original pattern for design DROPS Baby 33-37. 16 double treble crochets in width and 9 rows vertically with pattern A.1 = 10 x 10 cm. 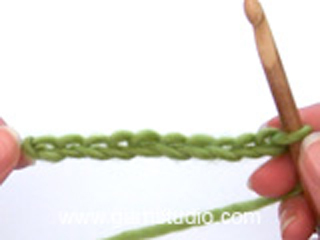 At the beginning of every row with double treble crochets replace first double treble crochet with 4 chain stitches and at the beginning of every row with double crochets work 1 chain stitch, this chain stitch does not replace double crochet. See diagram A.1. A.2 and A.3. 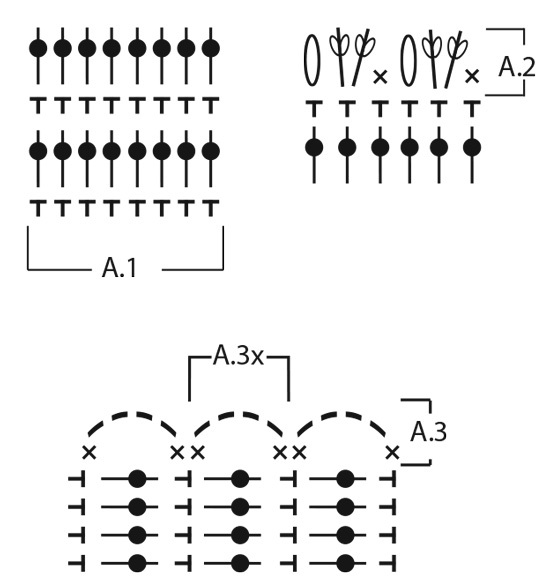 A.3x shows how A.3 is repeated. Worked back and forth. 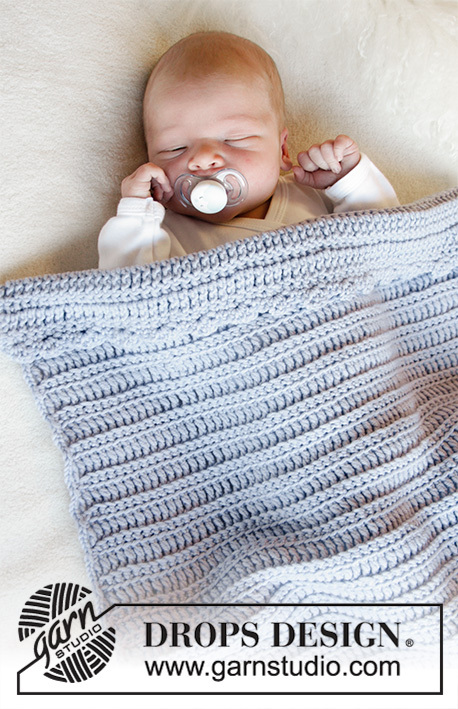 Then work the edge around the blanket, first along the edge at the top of blanket, then along left side, then on the underside and finally along the right side of blanket. Work 72-104 chain stitches loosely on hook size 4.5 mm with Merino Extra Fine. 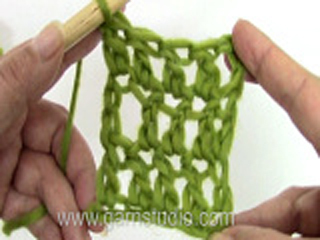 Then work according to diagram A.1 and read CROCHET INFO - see explanation above. REMEMBER THE CROCHET TENSION! 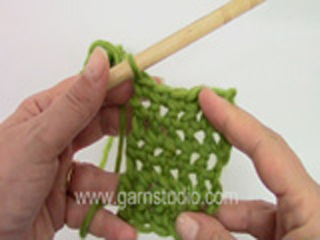 Work until piece measures 48-76 cm, and make sure that last row is a row with double crochets. 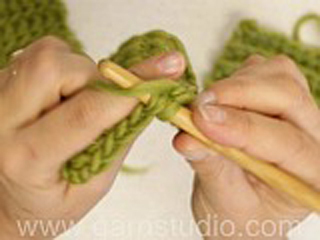 Work 1 chain stitch and then a row with A.2. Now continue with edge on the 3 last sides of blanket. Work 1 chain stitch, and follow diagram A.3down along left side of blanket - A.3x shows how A.3 is repeated. Work 1 chain stitch, and follow diagram A.2 down along underside of blanket. Work 1 chain stitch, and follow diagram A.3 up along the last side of blanket. 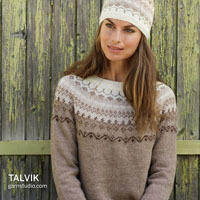 Finish with 1 slip stitch in first stitch on this round. 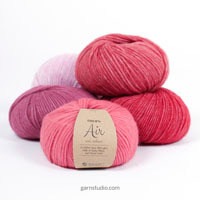 Cut and fasten the yarn.